So yikes! I am 62 years old today. Like, how’d that happen? 😉 It’s a total cliché and absolute truth about time flying. And especially with all the cancer stuff, ten years ago now and hopefully completely in the past, it’s amazing I’ve made it this far. Unlike a lot of people, I’ve always loved my birthday, even though the getting older thing comes with some drawbacks (KNEES for example) it certainly beats not getting older! So I do like to do something special to celebrate still being here. Today I met my friend (and colleague) Cinta @cintaromero75 for a fabulous seafood lunch at Cañabota. Great food and wine, and even better company. It was great catching up. By chance Charlie & Sam, co-owners of @vinoveroleigh were arriving in Sevilla this afternoon, though too late to join us for lunch, so I met up with them afterwards for a penúltima. I first met C & S in 2016, when mutual friends Phoebe and Ollie invited me to a rooftop dinner at their place in London. They came to Sevilla a few months later that same year, and are back for a quick getaway. After our cava I headed home, delighted to see the Christmas lights were still on! An excellent birthday. Since launching We Love Tapas I’ve been thinking a lot about the relationships I’ve built over the years with the owners of my favourite bars in Sevilla. My connections with these people goes way back, long before I started doing my own food tours about six years ago. So it’s not just “business related”. Actually, it’s not based on business at all. We all just like and respect each other. 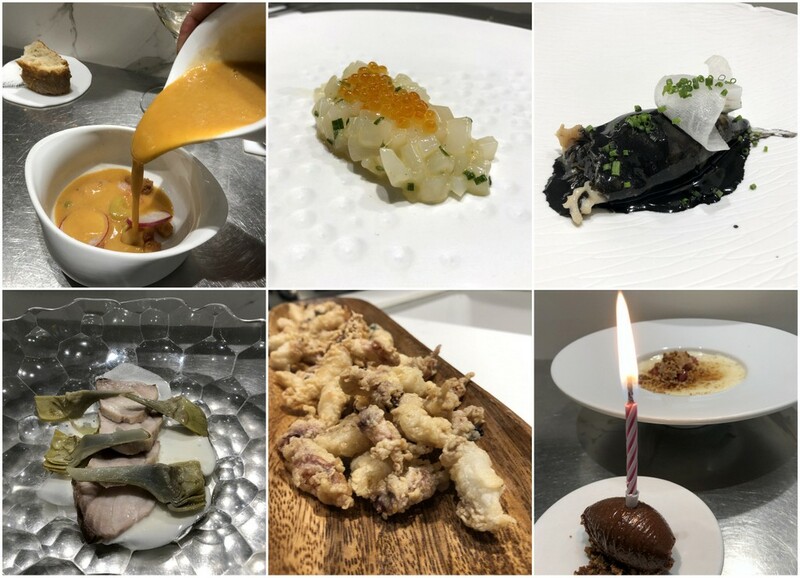 So when I started my Sevilla Tapas blog back in 2007 they were keen to be a part of it, and when I began doing tours they were all very supportive. Yesterday evening I was thrilled when I got an email from Annie Manson saying that while flying from Geneva to Málaga she’d seen me mentioned and quoted in the EasyJet’s April Inflight magazine, and congratulating me on such a great PR coup. At first I was totally flummoxed as I had no idea why I would be in there, then when I saw the article (about the Feria in Sevilla) written by Derek Workman, I remembered meeting Derek for tapas a while back and spending a pleasant leisurely lunchtime chatting about Sevilla stuff. 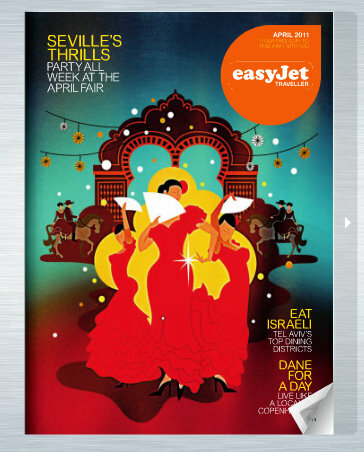 He was in town doing research for this article as EasyJet was about to launch a new London-Sevilla route in April. So that was quite exciting! If you want to read the article (which starts on page 50) you’ll have to register, which is a bit of a pain but only takes a minute. Anyhow, after a few emails back and forth to Annie I got into bed with my iPhone to read a few last tweets and emails before sleeping and saw that one of my favourite tapas bars was mentioned in an article by Shaney Hudson, an Australian travel writer now living in Holland who was here on a research visit last autumn. 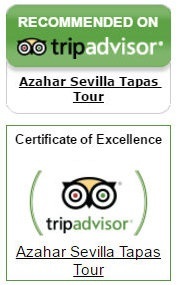 Then I saw that my tapas tours got a personal recommendation from Shaney in her Essential Guide to Sevilla (!!!). How cool is that?